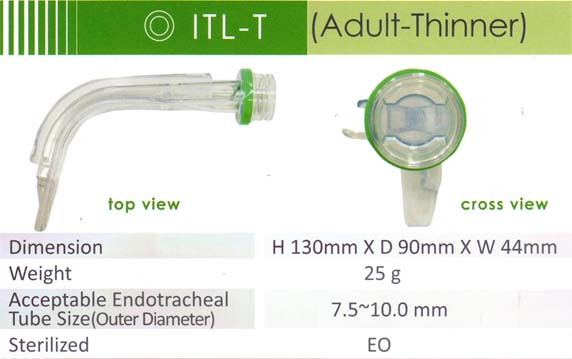 The PBlade is a detachable laryngoscopic blade that eliminates the need for a stylet and allows the user to guide the endotracheal tube into the correct location. 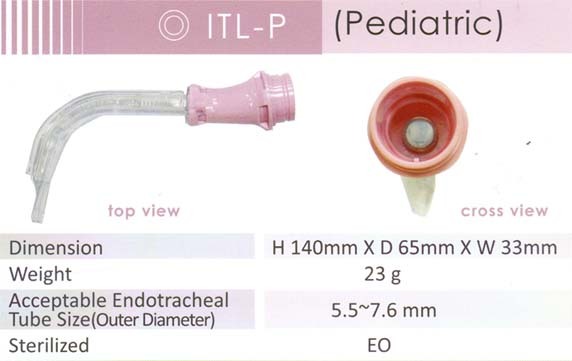 A groove on the PBlade allows the endotracheal tube to be easily guided into position which allows a less experienced user to successfully intubate patients. 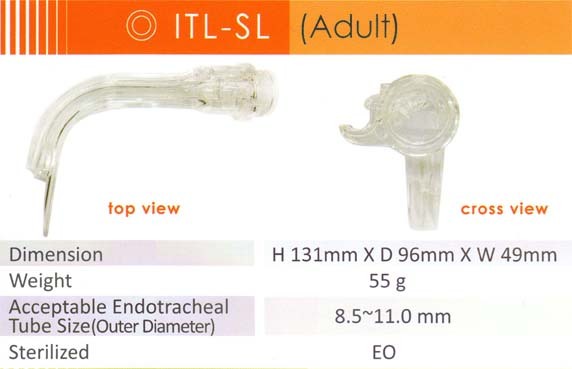 The PBlade is also designed with a suction tube channel that allows for the evacuation of unnecessary fluids that obstruct a successful intubation. Finally, each PBlade is sterile and disposable which severely decreases any risk of infection. The PBlade is created to fit patients of all ages and sizes. 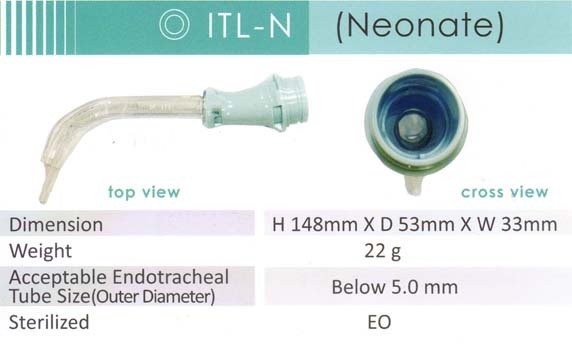 The PBlade family includes the ITL-SL for adults, ITL-T for adults with thinner tracheae, ITL-P for pediatric, and ITL-N for neonate.